There are 90% fewer energy deals costing less than £1,000 a year on sale this month than there were back in January, exclusive Which? research reveals. So just days before the introduction of the energy price cap, designed to stop customers who don’t switch from being overcharged, you’re less likely to be able to find a cheap deal on gas and electricity. At the start of the year, customers who use a medium amount of energy had a choice of 77 dual-fuel tariffs costing less than £1,000 a year. But in December, there are just eight. 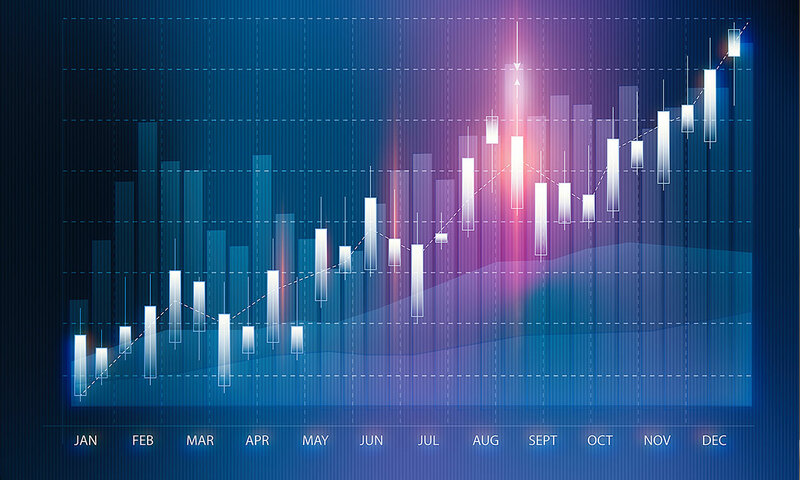 Many energy companies are preparing to cut the cost of their default tariffs from 1 January 2019. These are often among their priciest deals and have large numbers of customers signed up to them. We’re concerned that energy companies will stop selling their cheapest deals to make up for the loss of revenue, leaving customers deprived of a choice of good-value deals – and often in the dark about how the price cap affects them. Read on to find out if you understand the price cap and how it’ll affect your bills. Or use our independent switching service, Which? Switch, to compare gas and electricity prices and find the remaining cheap energy deals. Where are the cheap gas and electricity tariffs? For the first three months of 2018, medium energy customers could choose between 77 different dual-fuel deals costing less than £1,000 a year, according to our snapshot analysis. This rose in April to a choice of 88 tariffs. But from June 2018 – a few months after the energy price cap legislation was brought before Parliament – the number of deals costing below £1,000 had begun to drop. In October, November and December, there were between just eight and 10 deals below £1,000 to choose between. It’s not unusual for there to be fewer cheap deals on sale when the weather starts to turn chilly. But the beginning of 2018 saw the Beast from the East sweep snow and ice across the UK – and there were more cheap deals on sale during this cold weather than there are now. 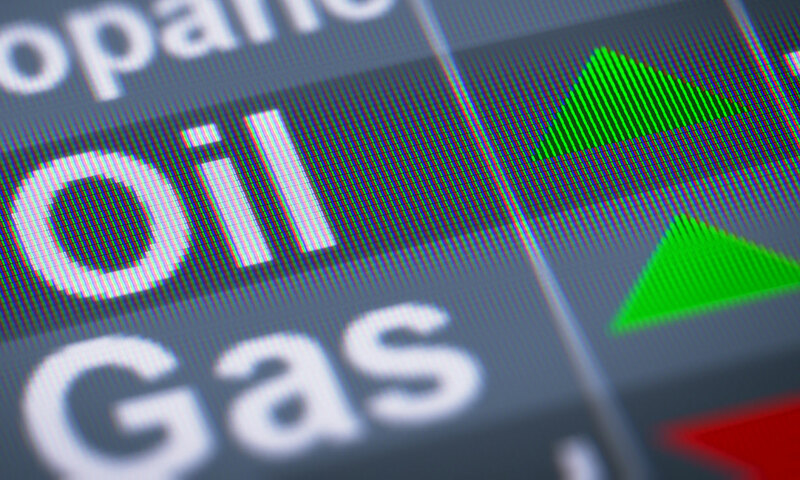 The cost of wholesale gas and electricity is a major factor influencing companies’ prices. But we’re also concerned that companies are selling fewer cheap tariffs as the price cap will cut their profits. 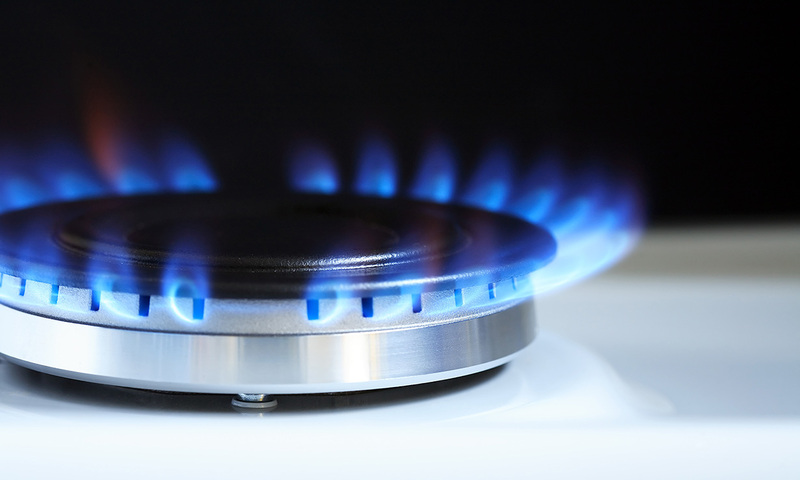 British Gas’s owner Centrica said that the price cap will cost the company £70m in the first three months of 2019. Do you understand the price cap? While the market seems to be reacting to the looming cap, consumers are often unaware of the price cap or how it will affect them, exclusive Which? research reveals. In fact, nearly half (48%) of the 4,054 people we asked said they weren’t aware of the energy price cap. Some 45% said they were aware of it. Many were unsure about whether it would reduce their bills. Of those who were aware of the cap, two in 10 (22%) thought that their energy bills would increase as a result of it. 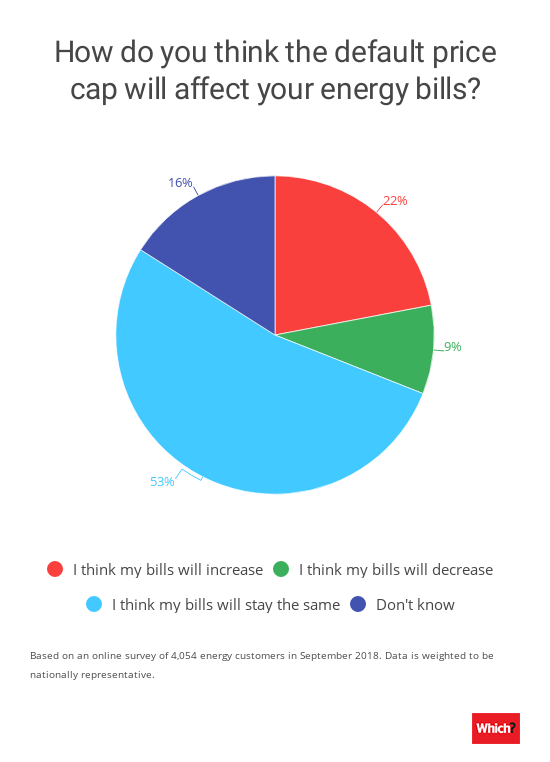 More than half (53%) thought that their bills would stay the same. Some 15% admitted they didn’t know how it would affect their bills. Just one in 10 (9%) said they thought that their bills would decrease as a result of the cap. Worryingly, two in 10 (20%) of those on fixed deals expect their energy bills to increase when the cap takes effect. Fixed deals set the price you pay for each unit of gas and electricity you use for the duration of the deal – so, unless you use more, your bills shouldn’t increase. In comparison, just less than a quarter (23%) of customers on variable deals expect their bills will increase when the price cap comes in. Energy companies can change the price of energy on their variable deals, though they must give customers 30 days’ notice. Most of the biggest energy companies will have to cut the prices of their standard variable tariffs to meet the level of the cap. Find out how much the biggest firms will cut their bills. 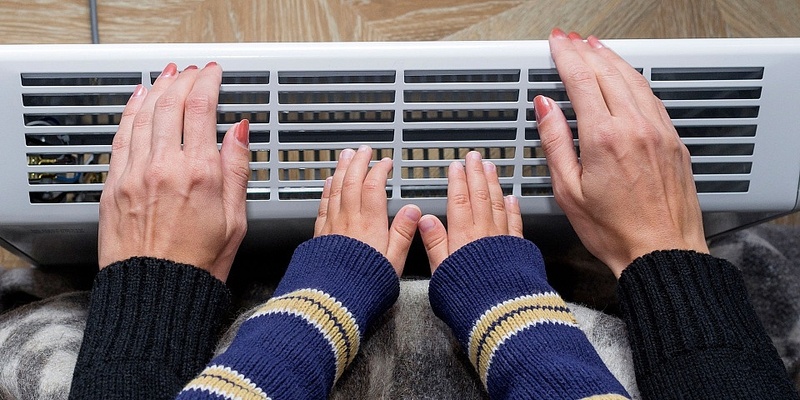 Will the price cap affect your energy bills? The default tariff price cap applies to energy companies’ default deals. If you haven’t switched supplier, or did nothing when your last fixed tariff ended, you’re likely to be on a default deal. Essentially, a default tariff is a deal you haven’t made an active decision to sign up to. Often these are variable deals, and called ‘standard’ tariffs by companies. But this isn’t always the case. British Gas, for example calls its default deals ‘temporary’. These temporary tariffs are actually one-year fixed deals, with no exit fees. Whatever your default tariff is called, it’s unlikely to be your company’s cheapest rate; often they’re the priciest. The price cap will limit the amount companies can charge customers on their default tariffs to £1,137 for customers using a medium amount of energy. £1,137 is not an absolute cap; it’s an average figure for illustration. The amount your bills will be capped at depends on where you live in the country, and how much gas and electricity you use, among other things. Find out how the energy price cap varies around the country. It does not apply to customers in Northern Ireland. If you’re on a pay-as-you-go meter, find out about the prepayment energy price cap. Alex Neill, Which? managing director of home products and services, said: ‘The price cap is supposed to help consumers, so it is a real cause for concern that some of the best-value deals seem to have disappeared from the market just as it is introduced. 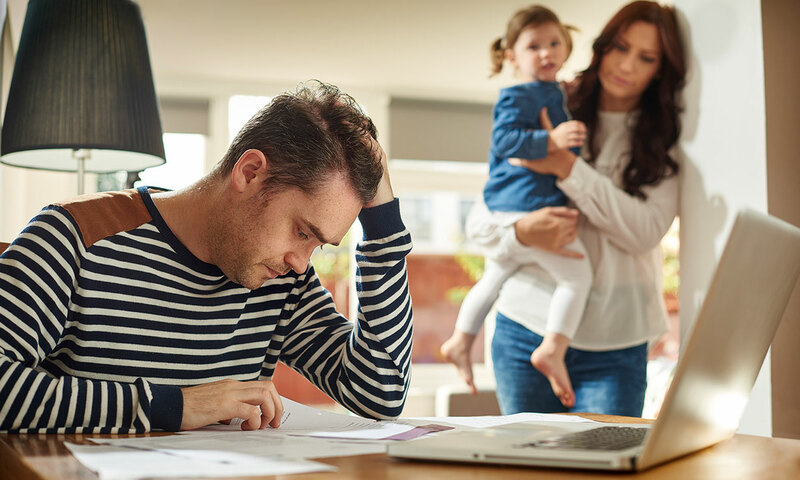 ‘This demonstrates why the cap can only be a temporary fix – what is now needed is real reform to promote competition, innovation and improved customer service in the broken energy market. 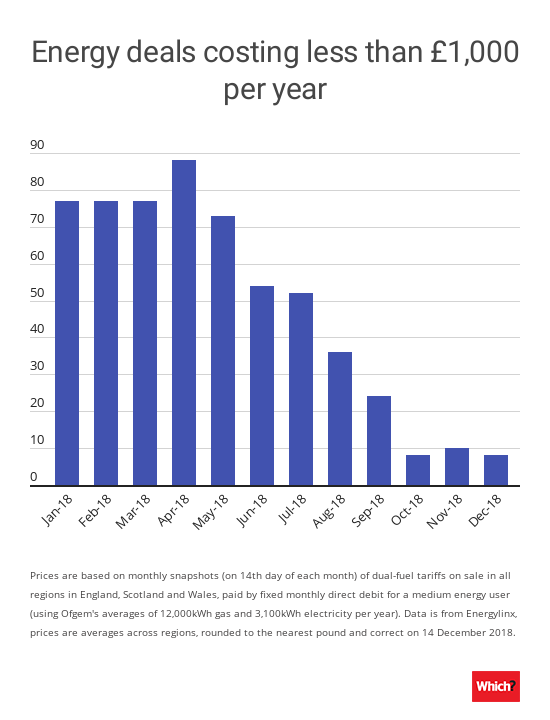 Prices are based on monthly snapshots (on 14th day of each month) of dual-fuel tariffs on sale in all regions in England, Scotland and Wales, paid by fixed monthly direct debit for a medium energy user (using Ofgem’s averages of 12,000kWh gas and 3,100kWh electricity a year). The data is from Energylinx, prices are averages across regions, rounded to the nearest pound and correct on 14 December 2018. We surveyed 4,054 energy customers online in September 2018. Data is weighted to be nationally representative.